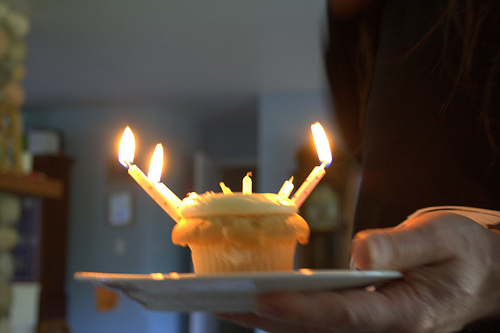 This week we asked: What do your birthdays look like? but her husband always manages to make sure it’s special. 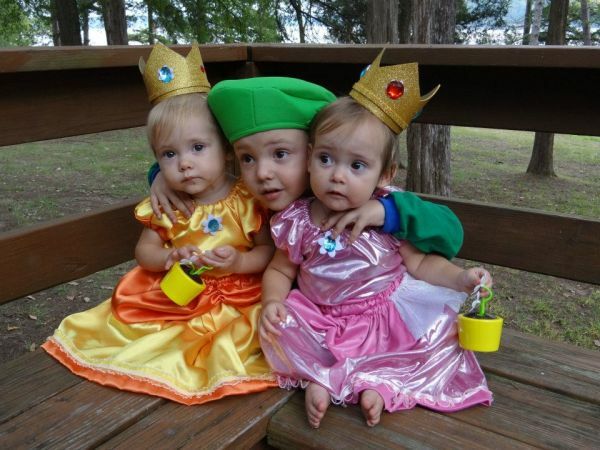 three of them (Luigi, Princess Daisy, and Princess Peach). Super cool (erm. . . silly?) 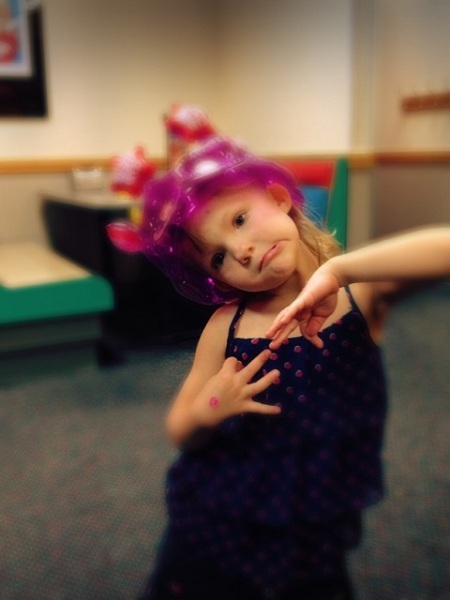 Abbey, celebrating her 4th birthday at the Chuck E Cheese! 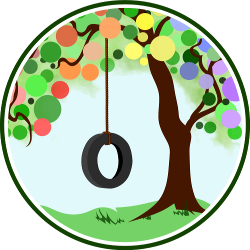 Amy W. blogs at Me, Mothering, and Making it All Work. This is a traditional birthday cake in Jorje’s eyes. 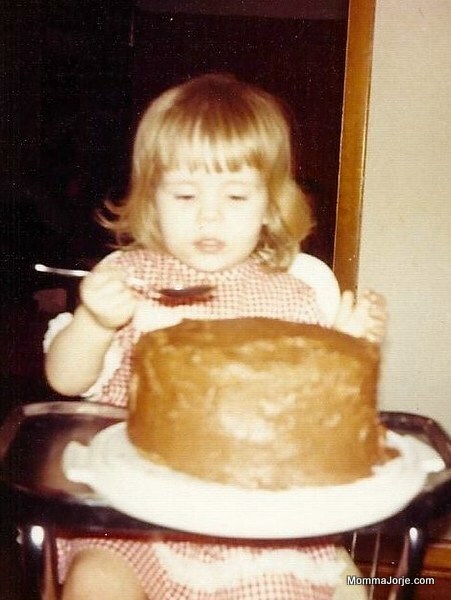 Here she was, enjoying a homemade yellow cake with chocolate icing, on her 2nd birthday. 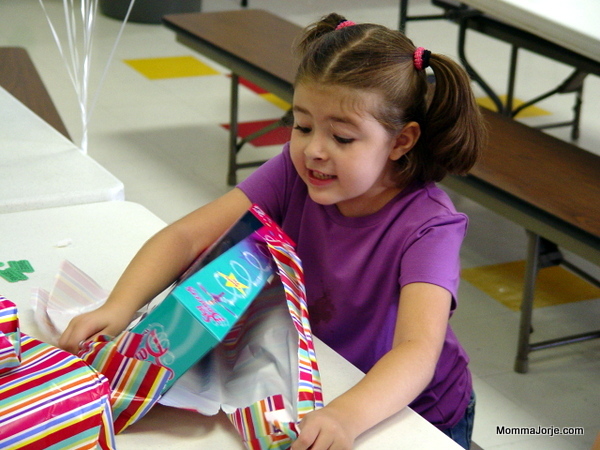 It is so fun to watch a child open a present that really thrills them! 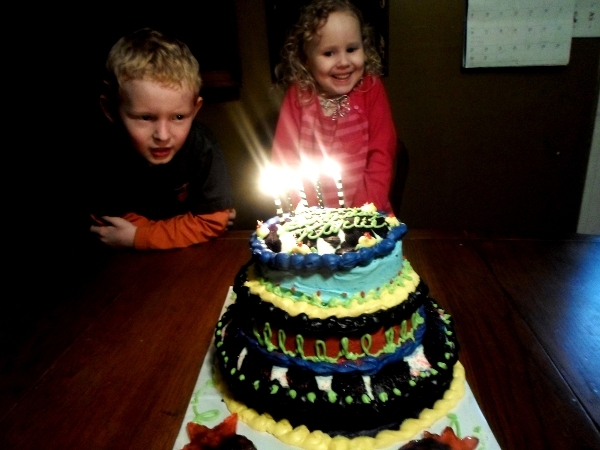 Tell us: What do birthdays look like in your family? I love the carrot cake! I bet that is very popular in our circles for first birthday! That’s what we’re having in a few days for Spencer’s first… which is actually TODAY!